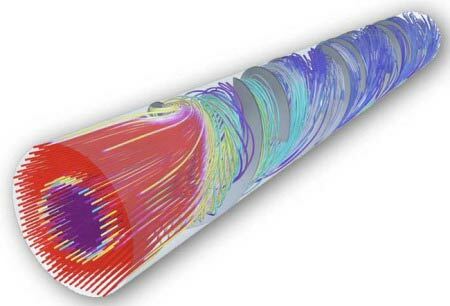 The potential of CFD simulations is increasingly being exploited in many modern engineering fields. However, the use of CFD techniques is more restricted to manufacturing domains, to study and optimize the performance of equipments and systems involving fluid flows. Yet, recent advancements in scanning and computing technologies have opened a whole new set of opportunities in biomedical engineering field. The complexity of human anatomy and human fluid behavior is a reason why CFD techniques took a little more time to be utilized as a research tool in medical domain. Medical researchers, now have the ability to gain knowledge of how body fluids and system components are expected to perform, making possible to improve the bio-fluid physiology studies and design better medical treatments and devices. Some of the recent applications of CFD in biomedical engineering are described here, providing a brief idea on the emerging application of simulation technique.